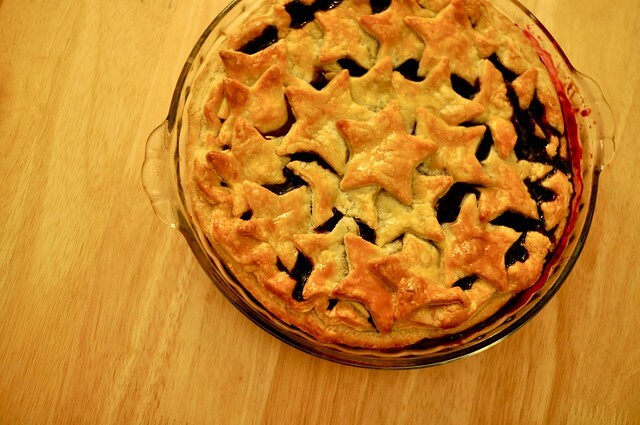 Blueberry pie with star top crust. So good! 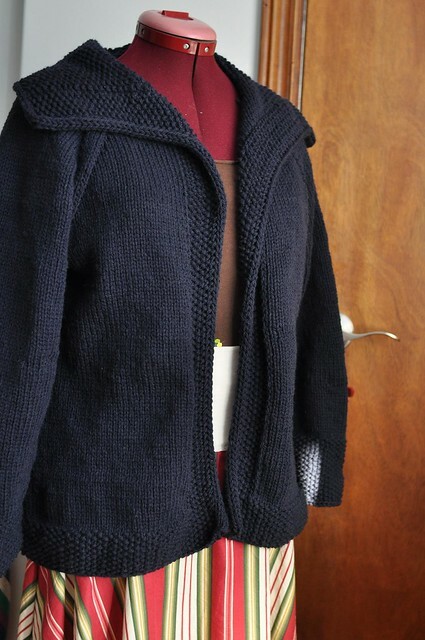 I finished my plain chunky cardigan (my own pattern, Quince & Co Osprey). 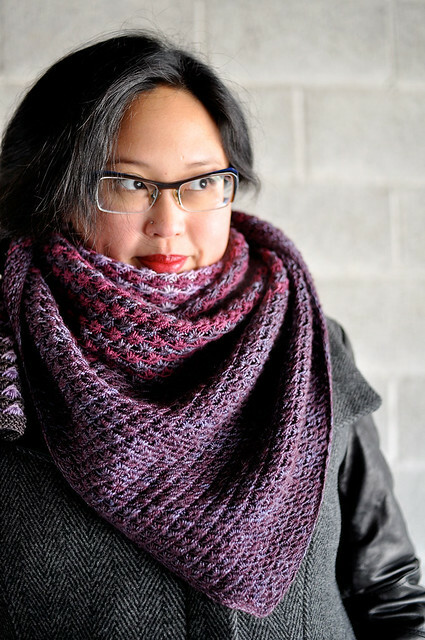 I still haven’t been able to knit much due to wrist pain, which is driving me nuts! I finished the second sleeve of this one very slowly. The ends are woven in and it just needs a good bath. I think I’ll add a zipper and maybe some embellishment – a cross stitch design? Wool felt elbow patches? Hmmm. I did manage some spinning though! 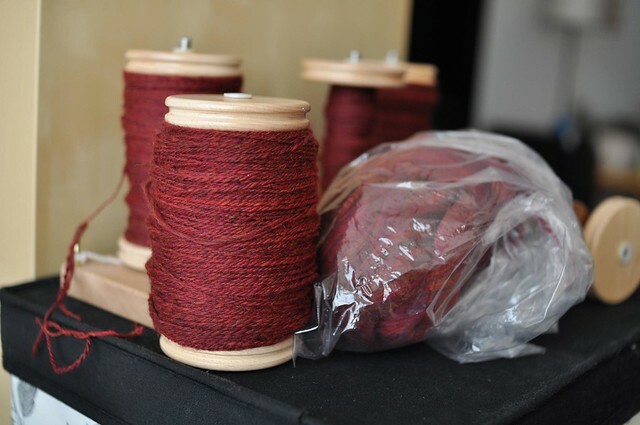 I’ve been working on this red merino for so long, but I’m starting to see the light at the end of the tunnel – that little bag is all that’s left. Love the idea of elbow patches on that sweater. Hope your wrist heals soon. I just wanted to say that I also love the idea of elbow patches! Oh, and your pie looks delicious – I’ve never seen anybody make a top out of stars like that before, but I think I’ll give it a go next time. what is your favorite Bluebery pie recipe?